Tramadol is classified as an opioid analgesic drug prescribed for the treatment of moderate to severe pain. Patients can take it in tablet or capsule form, as well as by suppository or as an effervescent powder or tablet. It is important prior to ingesting tramadol that the patient knows about any possible side effects of this drug, both major and minor. a feeling of lightheadedness and dizzyness. Constipation can usually be avoided by increasing water consumption and regular exercise while taking tramadol. A patient can ask his pharmacist about the feasability of taking laxatives while on Tramadol to combat this particular side effect. Sweating, loss of appetite and itching are other commonly reported side effects of taking this drug. 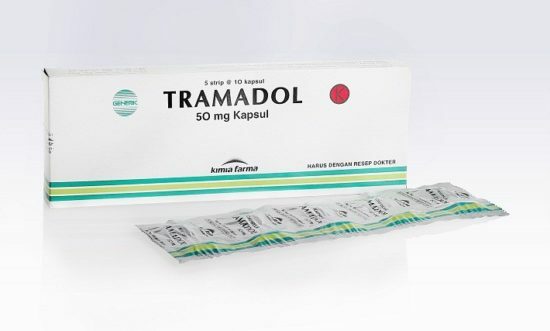 Among the more serious side effects of tramadol are convulsions or seizures, most likely to occur in those patients who have suffered a head injury, metabolic disorder or are currently taking other medications to address nausea and vomiting, depression and muscle tension. Some patients experience an immediate allergic reaction after the first dose. If any side effect or combination of side effects becomes prolonged or severe, medical attention should be sought. Immediate medical attention should be sought by any patient experiencing any severe side effects while taking tramadol. Most individuals who are prescribed tramadol receive its pain relieving benefits without experiencing any side effects or experiencing only minor side effects during the period of time they are taking this drug. Severe side effects are more likely to occur when taking tramadol in concert with other medications, so the patient’s physician should be fully aware of any other medications that patient is taking before being prescribed tramadol. Also, it is very important that patients who have been addicted to alcohol or drugs never take tramadol to avoid serious health complications. Because tramadol can be habit-forming, a patient should never abruptly stop taking the drug in order to avoid such uncomfortable side effects as insomnia, hallucinations, chills, difficulty breathing and anxiety.